An-124-100 freighter fleet to deliver 30 vehicles on a single flight to Luanda for the inauguration ceremony of Angola’s elected President, Joao Lourenco. 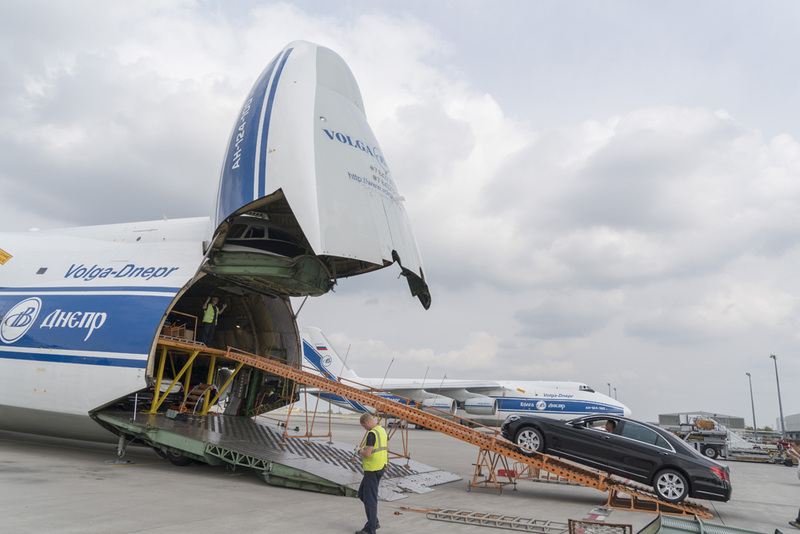 As a regular provider of air logistics solutions to the automotive industry, Volga-Dnepr designed and built its special racking system to help reduce the cost of air transportation for customers moving high quantities of vehicles. This system was originally produced in 1996 to support international Paris – Beijing Rally. 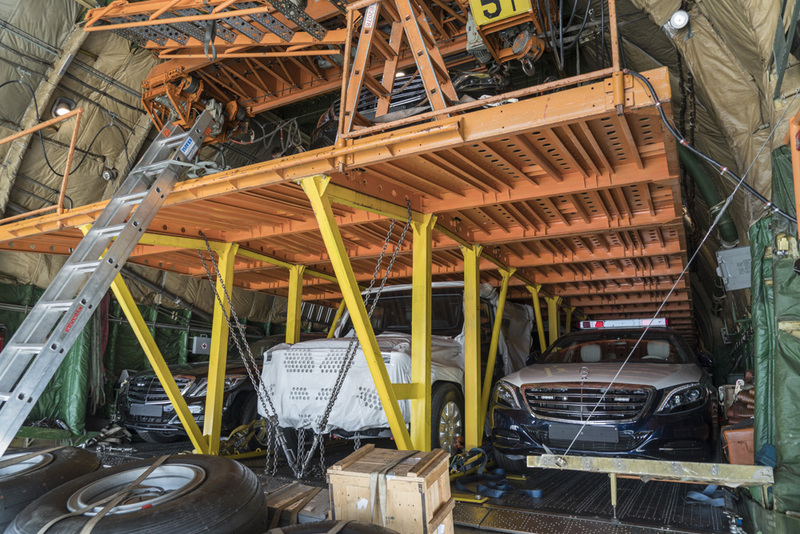 The two-tier platform enables cars and 4x4s to be driven onboard the An-124-100 and parked safely inside its spacious cargo cabin. Since that time the platform has been successfully used by Volga-Dnepr. For this particular flight, Volga-Dnepr’s experts developed an optimal loading technique based on the size and specifications of the vehicles being carried. This also ensured the airline was able to successfully meet the tight delivery deadline.